I had a list of Christmas cookies I was hoping to make … but Christmas (and those twelve days of Christmas) were over before this ones had a chance. When I lived in the “city” (nyc)- there were a lot of wonderful places to eat. While visiting an Italian bakery, I bought a couple of tasty pastries that caught my eye. One was a cookie covered with pignoli (or pine nuts.) Tasty. 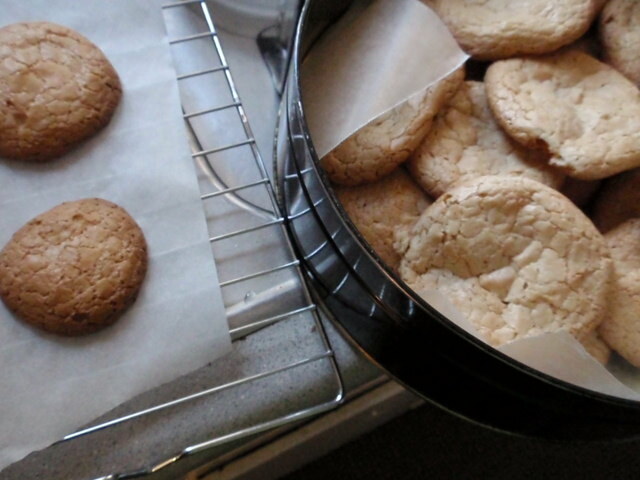 They are called Pignoli Amaretti (Pine Nut Cookies) . Well ours are missing the pine nuts … but all the rest of the ingredients are the same as the recipe. We did have a few moments to rescue but after all it was our first time making these … and made a lot of bowls dirty… but in the end …so very happy to have a tasty treat. I don’t have much of a sweet tooth … but there are times when a sweet comes in handy. Those look so yummy! 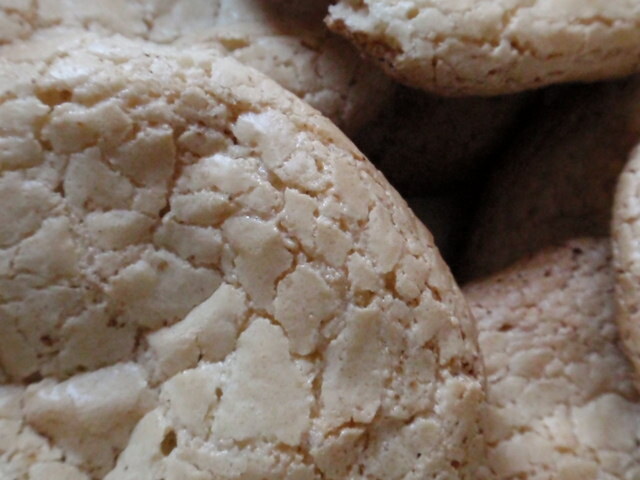 I love pine nuts, and I bet that they are amazing in cookies.